Home » News » Local News » Man Missing In Folsom Lake After Jet Ski Capsizes! By BStigers on April 16, 2019. 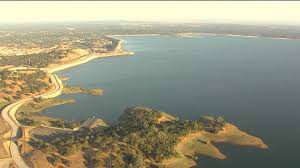 California State Parks announced that a search for a missing man who fell into the waters at Folsom Lake last night will resume today. Officials called off the search last night after the man fell off a personal watercraft when it capsized. Placer County Sheriff’s are involved in the search.